The holidays are right around the corner and many families will take to the skies for a vacation and to celebrate with relatives and friends at luxury ski resorts. While a vacation is meant to be fun and relaxing, preparing for one can be a nightmare. The FAA has very strict guidelines for what you can bring with you onto the plane, which limits what you can pack in your carry-on. All of the things you can’t bring on must be checked, and you will incur outrageous checked baggage fees (unless you are flying on Southwest Airlines). After spending a boatload of money on tickets, these baggage fees can put a serious dent in your wallet, especially if you are traveling with the entire family. The best way to minimize the number of bags you will have to check, and fees you’ll have to pay, is to start packing in advance so you can do so optimally. I recently traveled to Chicago and only packed about 30 minutes before my ride to the airport was supposed to leave. While rushing to make my flight, I packed my toothpaste and deodorant in my carry-on bag. Security made me throw them away and I had to purchase these items again after landing in Chicago. While it wasn’t the end of the world, these costs multiply when you make the mistake for others in your family. Buying these items for everyone in the family can take away from your spending money at your destination. 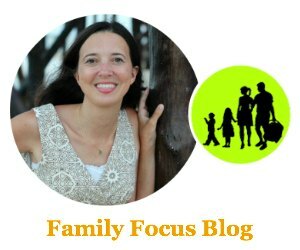 To help save you money, I want to share some tips to make sure you are optimally packed for your next family vacation. 1. Combine bags. When possible, multiple people should pack into one suitcase. Have your kids pack all of their clothes into one suitcase and share a suitcase with your significant other as well. When my family was traveling together last winter break (there are 5 of us), we were able to fit into 3 suitcases. I packed into one suitcase with one brother that weighed 44 pounds, my mom had a suitcase that weighed 48 and my dad’s weighed 38. My other brother distributed his clothes between the other three suitcases so that no bag weighed over 50 pounds. When doing this, I can’t stress the importance of weighing your bags! If possible, try and do so with two different scales to ensure accuracy. The overweight baggage fees can be just as expensive as checking another bag. 2. Carry your coat with you. Most airlines allow you to bring one carry-on plus a laptop bag/purse with you. But you can also bring your jacket with you! Many people like to place their jackets in their suitcases, but this can cause your bag to go over the weight limit and take up lots of space. 3. Pack clothes in your carry-on. FAA rules are very strict on the amounts of liquids you can bring with you in the carry-on, so it’s easier to pack all of your liquids in your checked bag. If your bag is over the weight limit, start moving clothes into your carry-on. From personal experience, items such as t-shirts, flip-flops, sunglasses, and socks are perfect to pack in your carry-on since they don’t take up much space and can be easily placed into semi-filled pockets in your carry-on bag. I hope these tips help you avoid baggage fees the next time you and your family take to the skies. Just remember to pack in advance so you have time to do the math and pack optimally!